Here at Golden West Exteriors, we perform roofing services in Edmonton and the surrounding areas. Our Edmonton roofers are professionals, and always give their all in every contracting job they take. Part of that job is making sure that their customers are happy with their decision. That is why we are happy to walk every client through all of their options. 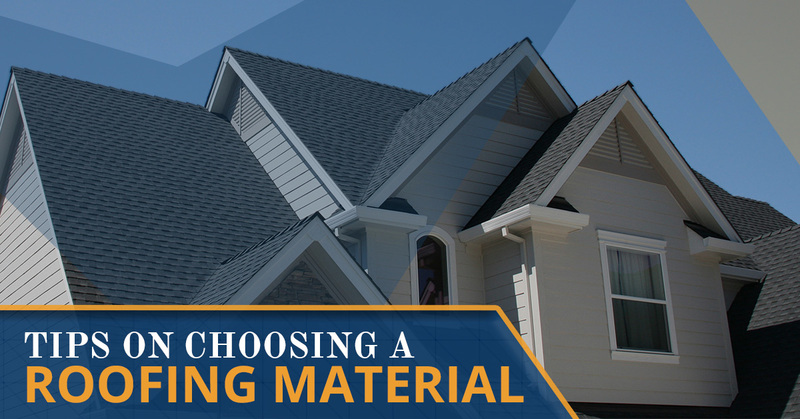 In the meantime, here are some tips on choosing the right roofing material for you. Word of mouth is still a powerful indicator of work quality in the business world. If you live in the Edmonton area, there is a good chance one of your friends, family, or neighbors has had work done by Golden West Exteriors. We love when our work speaks for itself, so make sure to ask around about us! Online reviews are a double edged sword. On a reputable site, they can give you important information about a business. On an illegitimate site, you can be duped by fake, paid, or unearned reviews. When looking at reviews, trust big name review sites like BBB (Better Business Bureau). In order to get a manufacturer designation, a contracting company must pass certain requirements in order to get factory certified. This is a good indication about the quality of their work. Some manufacturers are more stringent than others in their requirements, like GAF, which only allows two percent of roofing contractors per market to be designated. Check to see what manufacturer’s designations your contractor has. Contracting renovations are a big investment. You should be telling your contractor what you want out of a building, not the other way around. A pushy contractor with their own agenda should raise a major red flag. Another red flag should be when contractors want to handle your claim for you, or present themselves as a “claim specialist”. You are the one in charge, so find a roofing contractor willing to listen to you. Every qualified roofing company should offer multiple quality options for you to choose from. This shows that they have put in the time to learn about their craft, and want to offer you a comprehensive choice for such a major life decision. Again, look for those manufacturer designations so that you know your contracting company is the real deal. Here at Golden West Exteriors, we offer siding and roofing services in Edmonton. We stand by the quality of our work, and are sure you will be happy with the job that we do. We are the company to call for roofers in Edmonton. For more information about our services, please do not hesitate to give us a call at your earliest convenience. One of our friendly and knowledgeable representatives will be happy to answer any questions that you may have.